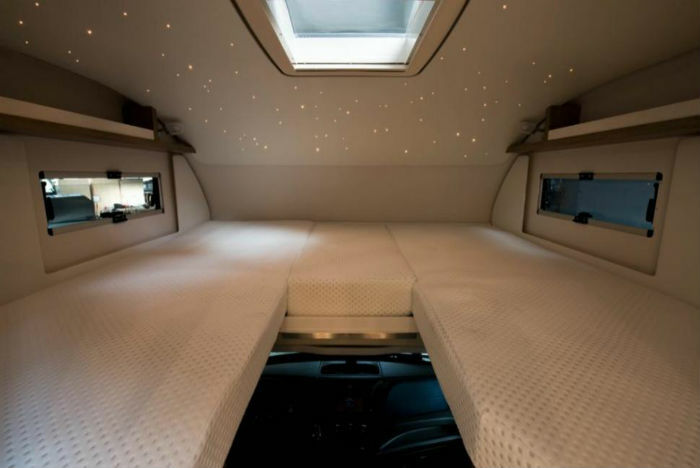 While we wait for an expanded electric vehicle charging infrastructure, German maker Dethleffs has conceived a hybrid solar and electric powered camper. 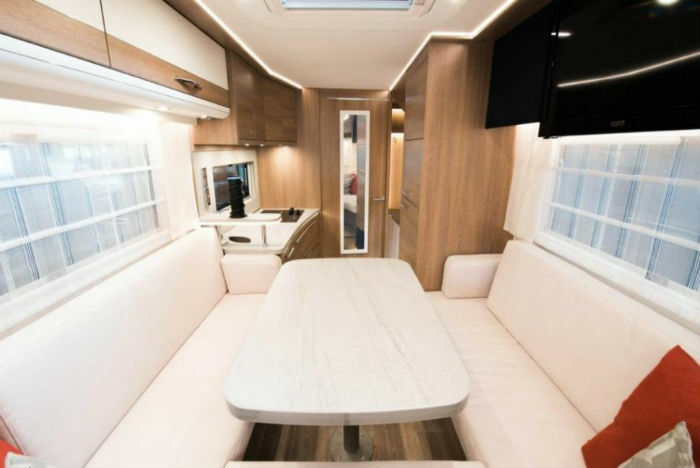 Called e.home, this RV has the best of both worlds, electric charging capabilities and solar power for back up if you’re out in a remote location sans grid. The 107 horsepower comes with several battery pack options with a range of 100 miles. The solar panels generate up to 3,000 watts of electricity that powers a sodium-nickel-chloride battery. Continuing to optimize efficiencies for this camper, it will absorb heat in environments with a temperature of 79 degrees Fahrenheit and higher, then redirect that heat back into the camper when the temperature drops outside. As more and more people are interested in longer stints in nature but still needing to be connected, increased nomadic lifestyles and van living, the option of not having to worry about gas costs or your energy footprint will become an appealing and marketable opportunity for EV and solar-powered vehicle makers.